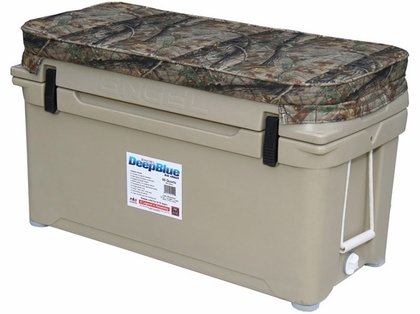 If you’re serious about camping, you know that a basic cooler just won’t do. The latest trend is the 7-day ice chest. 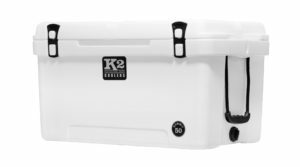 These are specially designed coolers that last much longer than your typical soft-top models, using modern insulation that can keep your food cool for an entire week. There are plenty of different options available, each with their own set of pros and cons. Today, we’ll be taking a look at one of the underdogs in the cooler marketplace. 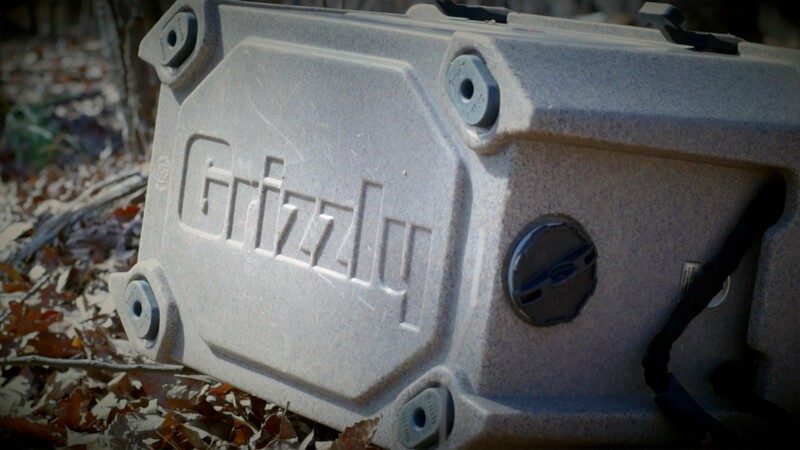 Grizzly has dubbed themselves the “outdoor everything” company. They design equipment for serious outdoor enthusiasts. The type of people who won’t accept anything sub-par. When a good ice box is the difference between being able to eat and going hungry, it’s clear to see the desire for high end hardware. 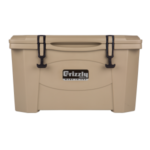 The question is, how do grizzly coolers stack up against the competition? Let’s go hands-on to find out. 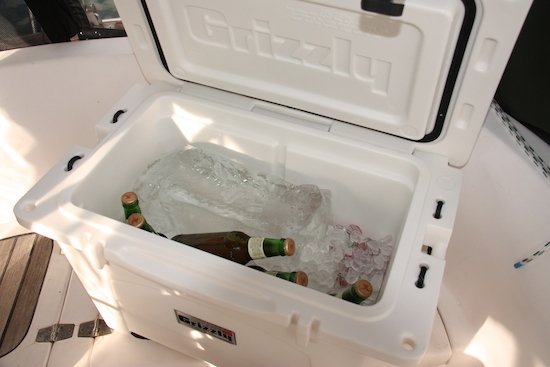 One of the nice things about Grizzly’s line of coolers is that their highest end features are available on all models. You’re not stuck making compromises just because you picked up one of the more affordable models. Whether you’re buying a simple cooler to hold a couple days of food or a massive park-model that can feed everyone at the family reunion, you always get the best options available. Before we get into the finer details, let’s take a broad overview of the line as a whole. If you were to look at the external dimensions and compare them to some other top cooler brands (Yeti, for example) you might notice that Grizzly seems to be a bit larger. 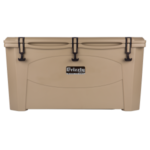 Our initial though was that, perhaps, these coolers have additional insulation, or are more durable. What we found was that they were actually very comparable. The difference in size can be accounted for by the way the coolers are measured. When you buy a 40 quart model, for example, you have 40 quarts of internal storage space. Yeti, on the other hand, measures the external dimensions. 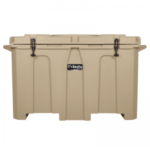 A 40 quart yeti cooler only holds about 37 quarts. We’re not saying that one size is better than the other, at the end of the day it doesn’t really make much of a difference. However, this is something you should keep in mind before you buy. Like many top-tier coolers, this model uses rotomolding during manufacturing. This involves starting with polymer beads and a molded insulation shell. The beads are heated up until melted, and placed in a centrifuge along with the insulated shell. The plastic then forms around the insulation, creating a seal. The benefits of this type of construction include durability and increased cooling capacity. There are no air gaps or seals, so the plastic is sized equally throughout the ice box. This makes for a system that is significantly better than your standard coolers. All of the joints are formed right into the plastic. This creates incredibly strong hinges. The lid opens all the way, and can rest beside the cooler when open. This is one of the biggest weak points, so we’re happy to see that it was made so reliably. One of the unique things about the build is the latches. Grizzly calls this the “bear claw” system. Instead of plastic, these latches are made from rubber. Using them is very easy. You grab the handle with your two fingers, and stretch it down below the plastic hook. When attached, the stretchy rubber holds the lid shut like an elastic band. This helps keep the air seal, and keeps everything cooler for longer. 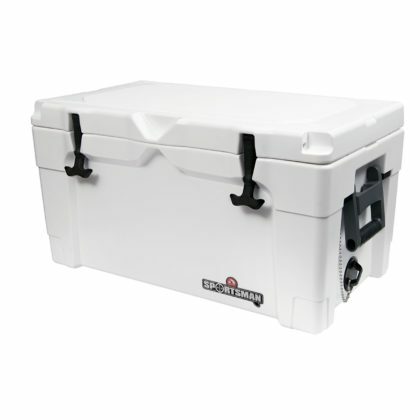 The question we’ve all been curious to answer: how long will your food last in this cooler? It’s rated for a week, like many others. In our tests, we were able to get 6 days before the ice was pretty much melted. There were a few little chunks of ice floating around, but at this point we’d be looking to add a new bag. That being said, there are things that you can do to extend the life of your cooler. The first thing is to take advantage of proper drainage. Ice, when it’s sitting in standing water, melts faster. Water is a great conductor, so it covers the entire surface area of each chunk of ice and helps it to melt more quickly. 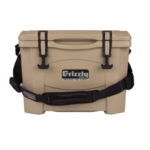 Grizzly has a nice large drainage valve in the bottom, which allows water to flow easily and efficiently. There are also several channels engraved in the base of the cooler, which serve as flow channels to pull water away from the ice and into the drain. It’s also important that the cooler be completely full when you close it off. The more ice you have, the longer it will last. When we took those steps into consideration, we were able to stretch our ice to 8 days. 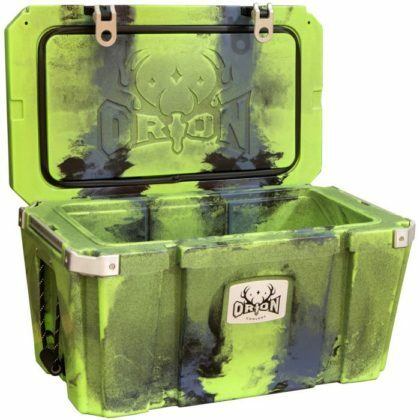 Considering the fact that most basic coolers only last 24 hours, this is pretty impressive. 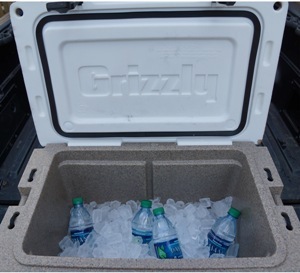 The Grizzly cooler is something we would want to have if we were going on an extended camping trip, and didn’t want to risk our food going bad. There are a couple things that we thought made the cooler very easy to use. The most stand out feature was the handles. They are large rope handles, which are covered with a nylon guard. The handles are quite long, so it’s easy to carry the cooler even if it is quite heavy. Using a rope material for them allows a bit more flexibility, and is much more comfortable than hard plastic handles. Another nice feature is the recessed bezel that runs inside the cooler. There is a small plastic tray included. This works like the cage in a deep freeze. You can store any food that you don’t want to come into direct contact with the ice. 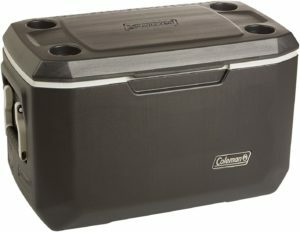 Things like sandwiches, fruit, or anything absorbent can fit here. 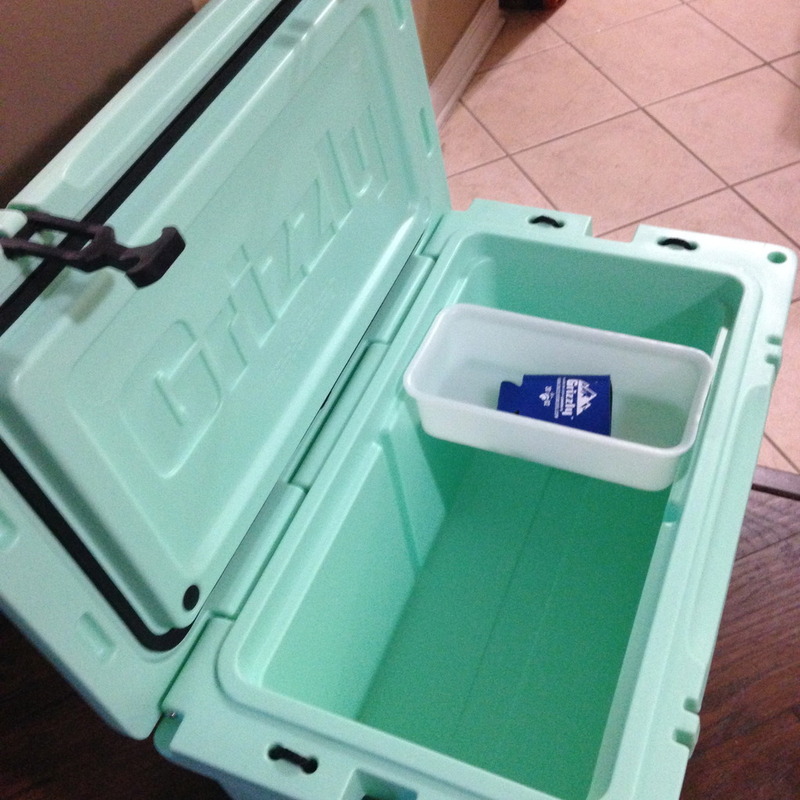 If you like this feature, Grizzly has several additional trays available for purchase. 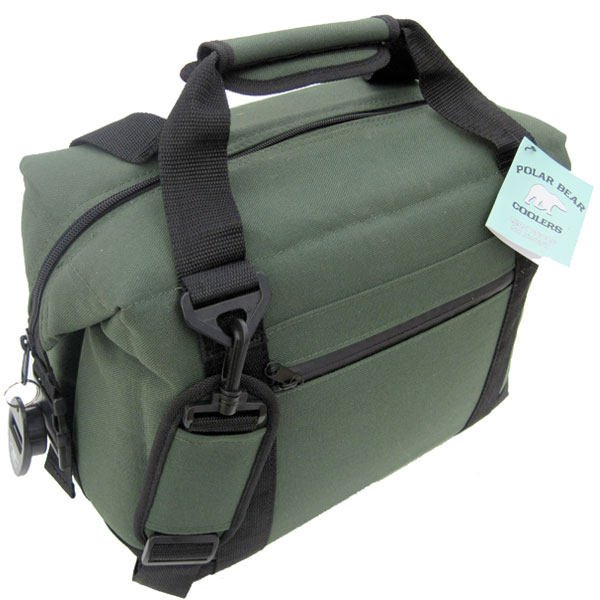 Just like in the pelican coolers, these models all have large O-rings on top that seal it from outside air. Despite what the brand implies, these are all 100% bear proof. Keeping outside air sealed improves cooling performance, and prevents attracting any wildlife. There are a couple fun quirks on each of these models that really help to take them to the next level. If you’re into fishing, you’ll be happy to know that there is a built-in ruler on the top of some models! You won’t have your fish in the boat for more than 10 seconds before you know the measurement of your catch. Rotomolding is known not only for its cooling power, but also its extreme durability. While we don’t have any concerns about the durability, the manufacturer does provide a lifetime warranty. If you damage it for any reason, they’ll replace it free of charge. Where rotomolded coolers are concerned, there are a lot of choices available. 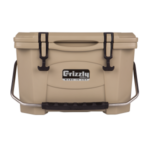 The Grizzly model didn’t let us down in any regard, and you’re able to save a couple bucks over some of the more premium brands. 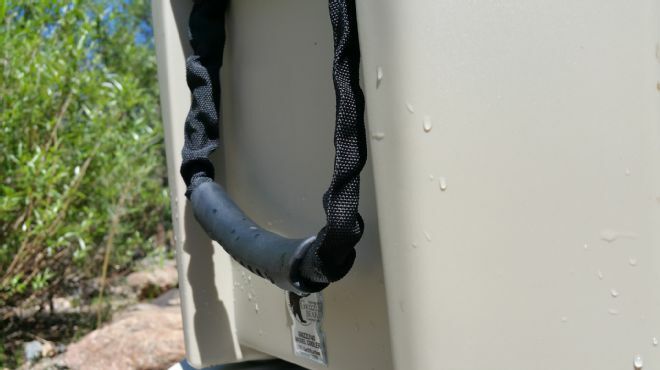 It’s keeps your ice frozen for upwards of a week, and the built in tiedowns allow you to throw it in the back of your truck without much worry. While there isn’t anything revolutionary about this model, it’s certainly the cheap and cheerful alternative you’ve been waiting for. Finding the best cooler depends entirely on your application. While this is the best option for some people, others might not find that to be true. 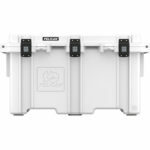 If you want to check out more options, click here to check out our guide to selecting the best cooler for every application.